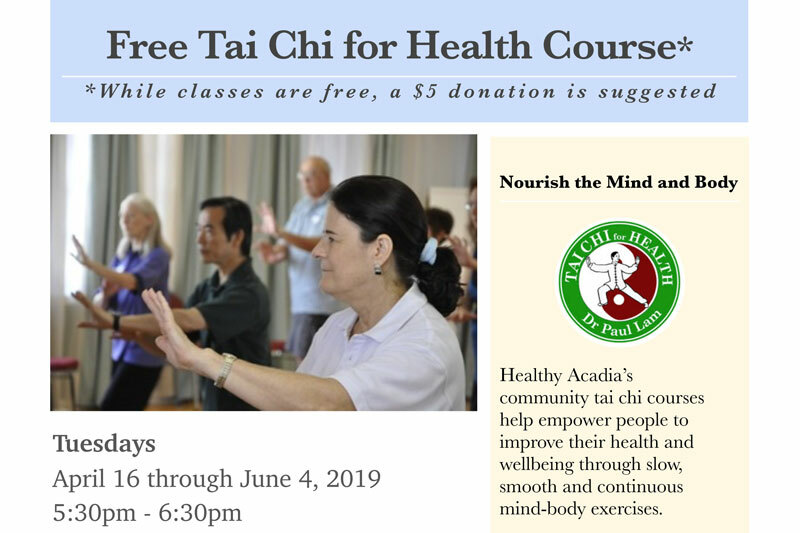 We are pleased to partner with Healthy Acadia to bring Tai Chi for Health to the Women’s Health Resource Library. Nourish the mind and body via these community Tai Chi courses that help empower people to improve their health and wellbeing through slow, smooth and continuous mind-body exercises. Wear comfortable clothes and footwear! Tai Chi will be offered on Tuesdays from April 16 through June 4, 2019 from 5:30pm – 6:30pm at the Women’s Health Resource Library. To register, or for more information contact Shannon Schimpf at 460-7218 or schimpfs8346@gmail.com.